B) Cannot draw a believable humanoid if your life depended on it. Luckily, this is where my personal superhero, TheSwanMaindeN, comes in. When you get an artist to illustrate your characters, you can take different routes. You could describe in detail what exactly you want to see, you could give them complete freedom, or you could go anywhere in between. Armida is Prince Vladimir’s lover. 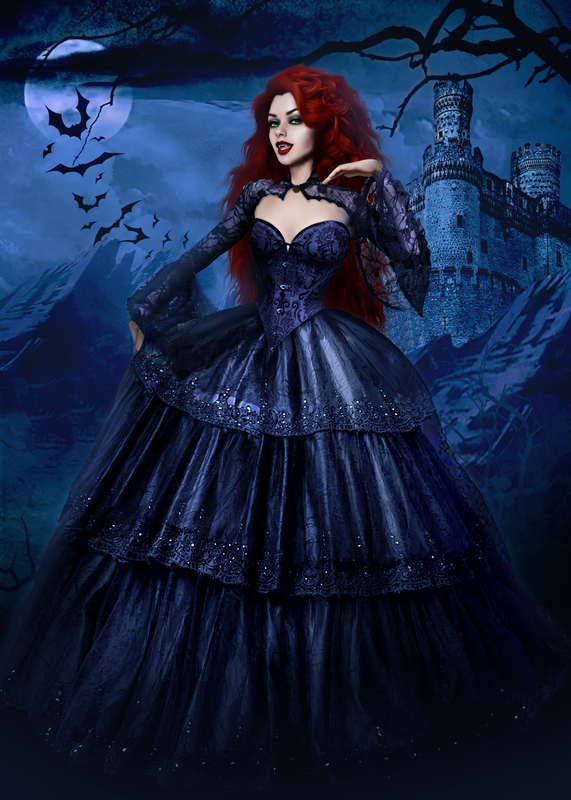 An ambitious vampire, she has a strong influence over the court at the Palace. Still, she is dissatisfied with the power she holds and is willing to do what it takes to get what she desires. I am currently editing Books 1 and 2 and writing some scenes from Book 3, and as Armida’s role is expanding, she is slowly becoming one of my favorite characters. I couldn’t be happier to see such a great portrait of her. 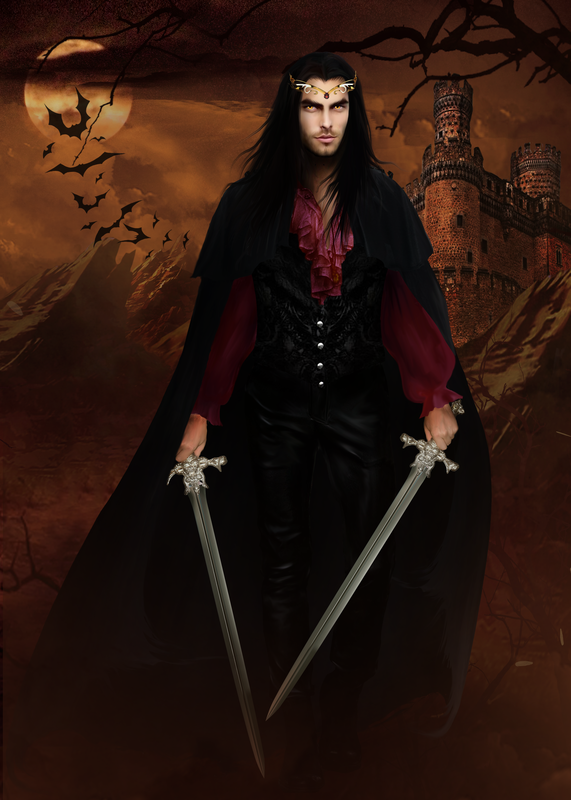 Prince Vladimir is the vampires’ leader, who has staged the Nightfall to conquer the world. His only weakness is his love for the art and culture of the human world, and our intrepid heroine must find a way to use this against him. Once again, I am grateful to be working with such a talented artist. Beautiful character portraits! Especially Armida. I hadn’t made up my mind on her from the sample chapters, but now I’m intrigued! Your cover artist is really good! Prince Vladimir looks badass. Only vampire portraits so far. Are we getting anyone from the Resistance? Really excited about Kingdom of Ashes by the way. Any news on release date / ARCs? Thanks, Zara! As usual, all the credit for the character portraits goes to my talented cover artist, Nadica Boshkovska (TheSwanMaideN on DeviantArt). Definitely recommend working with her if you need a book cover design. Armida becomes a major character later on. Looking forward to seeing what you think of her progress. Myra Andersen will be getting a character portrait later. You can already see her on the book cover, but I thought she deserves a battle mode portrait too. Not sure about other Resistance members. Zack and Alerie might get character portraits, but not in the near future. The release date for Kingdom of Ashes will be early 2016. I was thinking March 1st since the date is significant in the Nightfall mythology (you’ll see why in Book 2 Men and Monsters), but if I have everything ready long before that, I won’t delay, so there is a good chance you’ll get it earlier. The manuscript is now with the editor. Once I get it, I’ll need to do some work on it, and then I’ll be ready to give away ARCs. There will be many free ebook ARCs, and a few paperbacks as a Goodreads giveaway. Which reminds me, I still need to register on Goodreads. Argh, so much to do before release date!